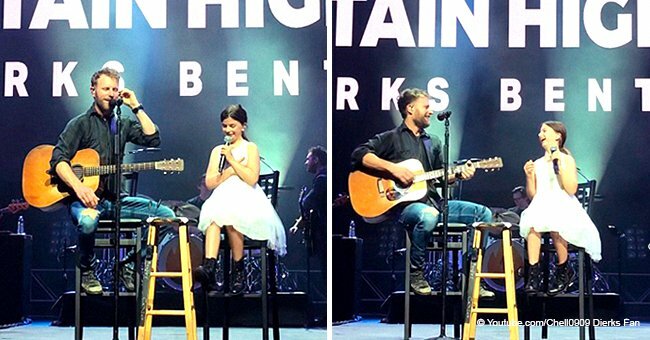 HomeYOUNG GARTH BROOKS SINGS AN EMOTIONAL SONG IN HONOR OF HIS BABY GIRL AND IT’S PURE GOLD. He's dedicated this song to his baby girl, Taylor, who has grown up and now he dedicates it to his brand new little girls. 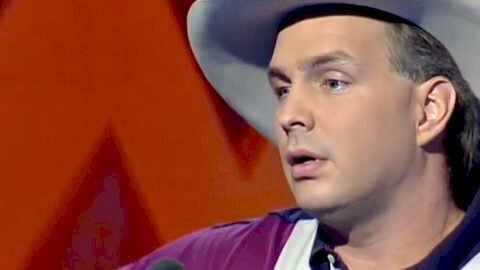 The song that earned Garth Brooks a record deal and country's favorite in 1991 has become a timeless, meaningful country song. Follow us on Twitter @amomama_usa for more details. This heartfelt ballad has become so popular, that it was reperformed by Ronan Keating, who scored #1 in the UK in 2002. This touching ballad earned Garth a recording contract and the story was shared with Bart Herbison of Nashville Songwriters Association International. 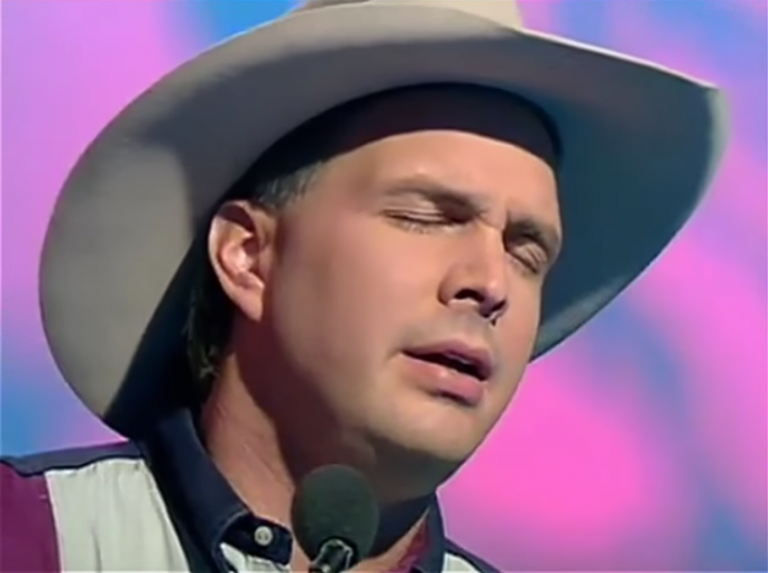 Garth's performance is truly unforgettable, as he openly expresses his emotion while singing "If Tomorrow Never Comes" in this beautiful video performance below and channels that parental love that comes with having the gift of a child. 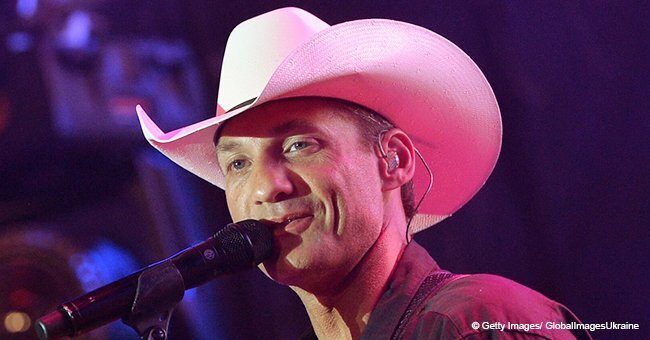 His song expresses the joy he's been given by his daughters and how thankful he is to have been blessed. 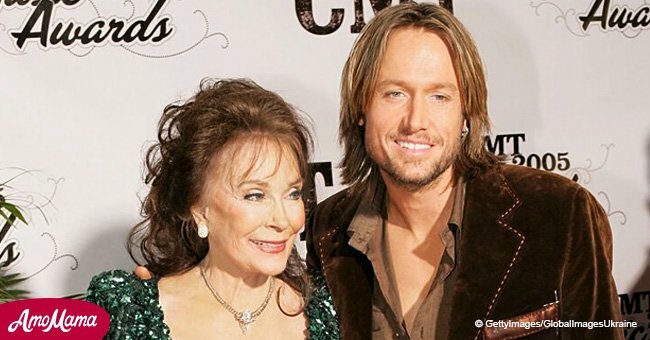 "There are a lot of great writers in Nashville and Kent Blazy and his wife Sharon, who are wonderful people, had been trying to make a living from Kent's songwriting. Kent had had some stuff recorded by Gary Morris but he hadn't had a #1. I thought we had something when we completed the song but I didn't really know it would be a hit until I heard it by chance on the radio in my truck and I knew we had something. There was something in it that moved me and I could feel the tears come to my eyes." You can watch his heart-warming performance below. "We pitched it around town for about a year and nobody was interested. We were going to get together and rewrite it, to see if we could get it better. About a week before that, he (Brooks) got a call to come to play at the Bluebird to fill in for somebody who was sick. They let him do one song, and he played 'If Tomorrow Never Comes.' Linda Schultz from Capitol Records, who passed on him for the third time that week, heard something (in that song). She said, 'Why don't you come back? Maybe we missed something.' He came in and got a record deal. It was his second single, my first #1 and his first #1." His new goals are spending time with his new family, who clearly follow in his footsteps and are making a name for themselves in the world of music. Keeping it in the family is one of Garth's daughters on Twitter. There are many great writers out there and Garth was the start that was meant to be captured. His music shares emotion and passion and his fans can literally feel the love he has through the words and expression in this song. It makes us feel a sense of gratitude for our loved ones who are still here, and an appreciation of having someone to care about. It touches deep within the soul and brings out the sense of loving the life we have at this moment and living it to the fullest, as you never know what tomorrow may bring. Garth gets ready to go on the road again. His positive message through a sweet, heart-warming ballad, melting the hearts of the nation. So live your life and love those precious and dear to you now... as you never know where tomorrow may lead. Tell your loved ones how you feel and never miss a moment. You listened to him sing and pour his heart out. Now his little girls have grown up to follow in their dad's footsteps and have made a name for themselves. 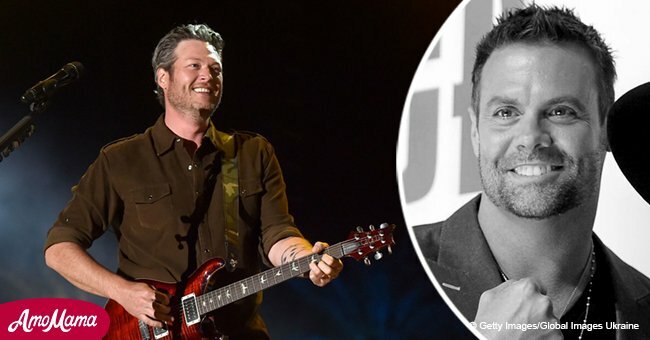 Here you can watch the interview on how it was growing up with a superstar country singer dad and watch the videos of them performing their new songs.